Watch this space for new additions to this series. 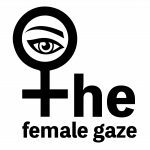 Inspired by films viewed at film festivals, on the big screen and/or recently released, The Female Gaze at Metro Cinema is a collection of films that were directed and/or female-led by women. It’s a co-curated program of an eclectic array of films made by women to celebrate International Women’s Day 2019 screening over eight days. The diversity of genres and magnitude include Oscar nominated films to hidden gems you’ve not seen before. All of the films embody the theoretical term the “female gaze” in that they are unique stories told with the moving image possessing female-centric vulnerability, sensitivity and power. Award-winning filmmaker Geraldine Carr (Aurora, Sweet Sixteen, Voila! Maud Mary & the Titanic, Dance of the Kaleidoscope, Love-god Lying) has a passion for story, cinema and the creative process. Currently in post-production, Geraldine is working on an art documentary called The Wise Fool which focuses on mask and clown director and teacher Jan Henderson, and her return to the stage after numerous decades. Geraldine is an alumni of the Women in the Director’s Chair (2010 & 2016), and is a graduate of the Film Production Program at Confederation College.